Silent motor, silent death? Written on September 8, 2008, by Ingeborg. 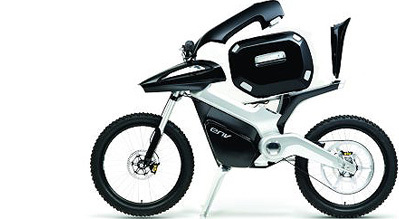 What happened to the fuel cell powered motorbike ENV? The worlds first production bike that rides on hydrogen by British Intelligent Energy was a feast for the eye and lungs. Last words were about certification in the UK, but now all sites are down. Did a silent engine die a silent death? Read more from the New energy, Speed category. Stay up to date via RSS , or Trackback from your site.